There are a lot of neat things to do in the Destin Florida area such as kayaking, cycling, surfing, stand up paddle boarding, fishing, and then there is kayak fishing. Right now you will be well advised to bring your own gear as finding rental fishing kayaks and fishing stuff is going to be hard to do. Every where you look in destin you will see people engaged in all sorts of sports. The odds are that they have rented their sports equipment. 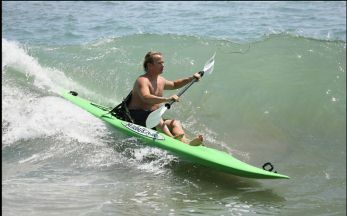 You can rent kayaks, surfboards, snorkel equipment, bicycles, and many other items of sports equipment for your holiday. Rental rates are very reasonable for a major resort area. Often the prices are about what you would expect to pay at home. Beach Safety Flags Warn Of Hazardous Surf Conditions! 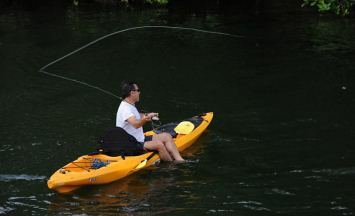 Kayak Fishing is a popular sport in florida. Sit on top kayaks like the one at left are very user friendly, and require little instruction. Most of the rental operators use sit on top kayaks, which have a self bailing cockpit. This makes recovery from capsizes easier. 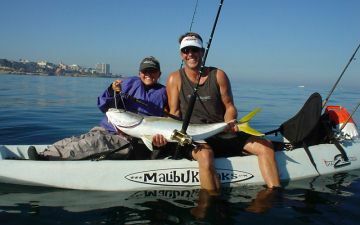 Kayak fishing is an economical activity if you can find a place to rent one by the day, or by the week. When the gulf doesn't have surf, which is most days during the summer, you can kayak in the gulf of Mexico, and that is pretty neat. A lot of people like to rent kayaks and paddle out to the big party at crab island in the bay. During the summer months you will find many calm days when kayaking is safe and enjoyable for smaller family members. 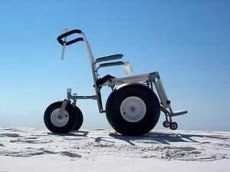 Most of the destin area rental operators have tandem sit on tops similar to this one. 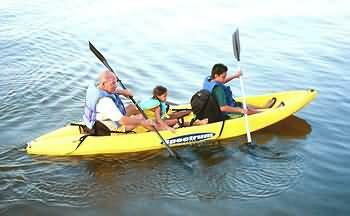 You can use your kayak for exercise, sight seeing, fishing, or dolphin watching. If you have a kayak rigged for fishing it is best to bring it as you may not find a boat rigged for kayak fishing for rent here. 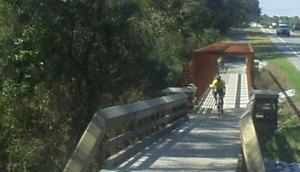 The destin area beaches have miles of neat bike paths like this one. The bridge passes over the edge of one of the pretty lakes.